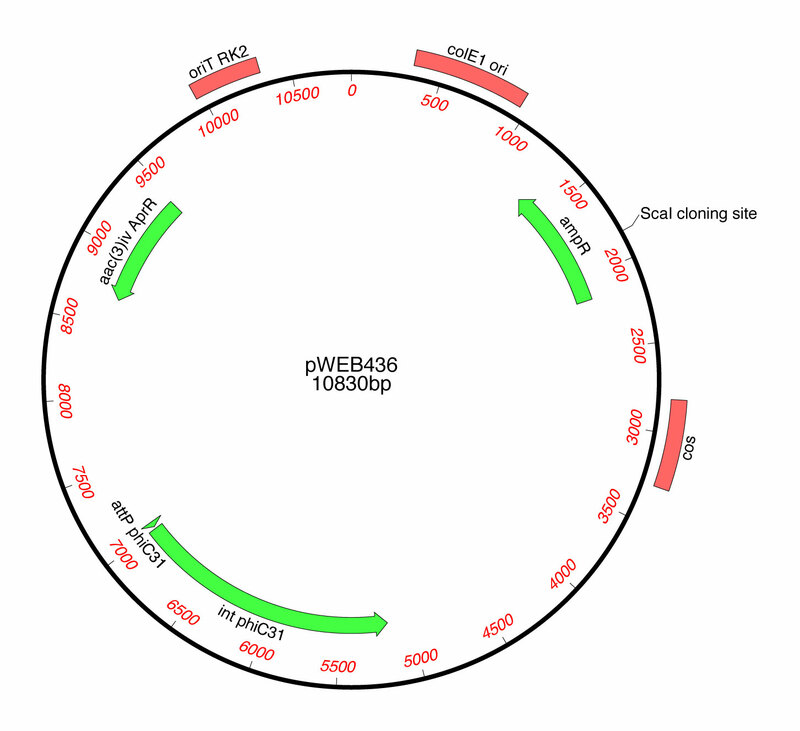 pWEB436 is an E. coli-Streptomyces shuttle vector containing E. coli origin of replication, cos site and ampicillin resistance genes from pWEB vector (Epicentre/Illumina) and ΦC31 integration system, apramycin resistance gene and oriT from the integrative Streptomyces vector pOJ436. Natural Product Discovery through Improved Functional Metagenomics in Streptomyces. Iqbal HA, Low-Beinart L, Obiajulu JU, Brady SF.